This Irish lamp is ideal as Celtic accent decor and may be suitable as a night light. 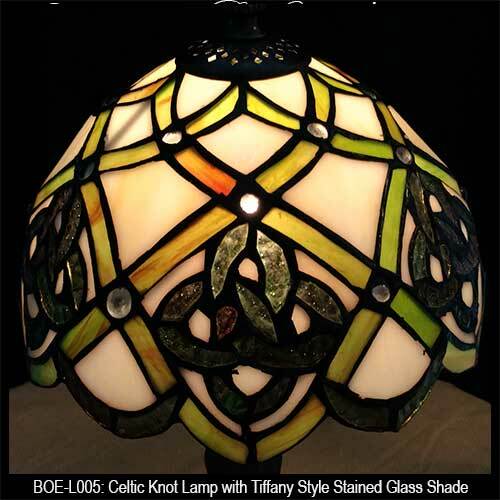 This stained glass Irish lamp features a repeated Celtic knot design on the shade. 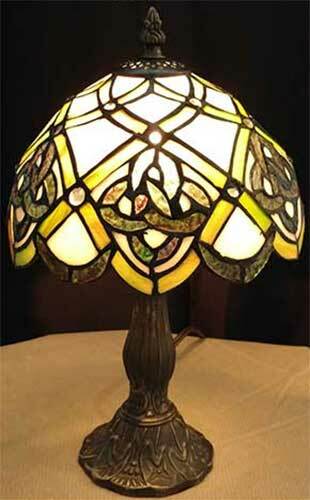 The stained glass Celtic shade is 8" wide; the accent lamp stands a total height of 15" tall. 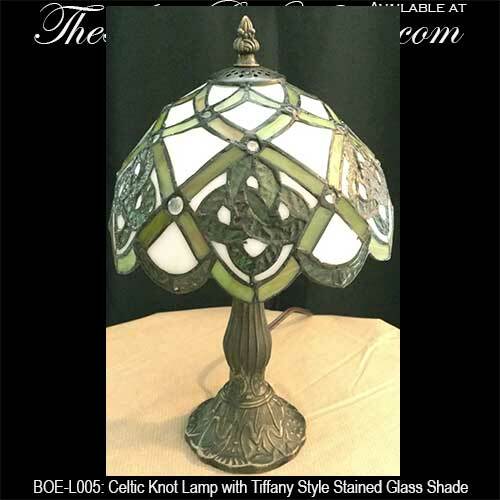 The Tiffany style Celtic lamp has a 4" wide resin composite base with a bronze tone; the accent lamp requires a maximum 15 watt bulb. 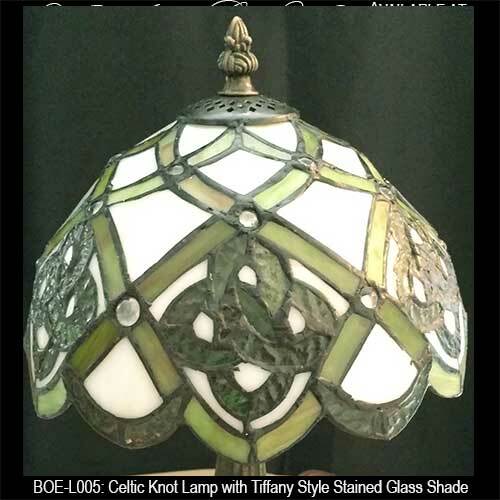 This Irish lamp is boxed with a Celtic knot history card, complements of The Irish Gift House. This Irish accent lamp is imported, minor assembly is required.